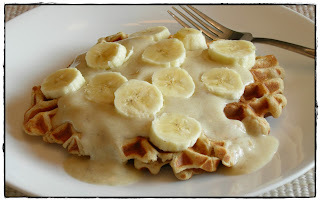 I decided to make some waffles this morning after I remembered how yummy they used to be when I topped them with banana soft serve in place of maple syrup. You can prepare the soft serve ahead of time and let it sit in the fridge while you make the waffles. 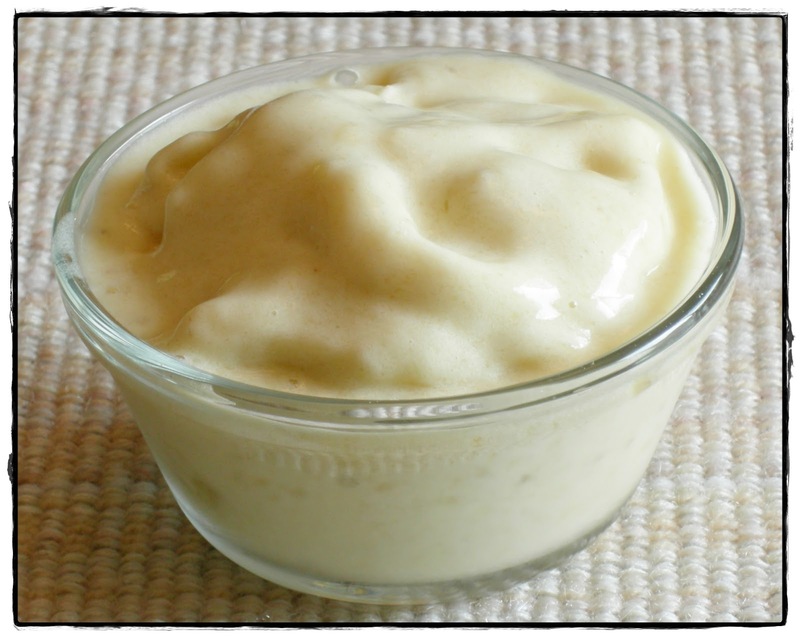 Place bananas, vanilla and a touch of water into food processor. Blend, adding as much additional water as you like to achieve desired "soft serve" type consistency. 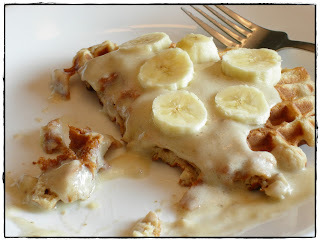 I got the inspiration for the waffle recipe here. I adapted it quite a bit. Prepare waffle iron according to manufacturer's instructions. 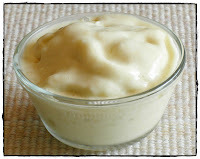 For "buttermilk": Combine rice milk with apple cider vinegar. Stir and let sit to curdle while you prepare the rest of the ingredients. For "flax eggs": Combine flaxseed with water, stir to combine and let it sit to thicken. In separate bowl, combine maple syrup and applesauce. Add to dry ingredients, followed by the curdled milk and flax egg mixtures. Stir until ingredients are combined and a light batter is formed. Add walnuts and stir to combine. 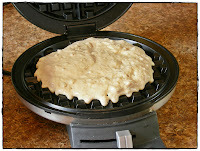 Make each waffle by pouring about 1/4 cup of batter onto the center of the waffle iron. Bake according to manufacturer's instructions. You can top these with traditional maple syrup if you wish, but since the waffles already contain maple syrup, the banana soft serve helps prevent 'maple syrup overkill' (if you believe in such a thing ;-)), and it really adds a nice flavor! Top with sliced bananas, or other types of fruit, if you wish. These waffles don't really stay very "crisp" for long, I'm not sure why that is. I've yet to make waffles that stayed crisp like the store bought freezer ones I used to eat. Maybe it's the lack of preservatives? No worries, though. You can just pop them into the toaster oven to crisp them up if they've been sitting around for a bit and lost their crunch. You can freeze any remains for future use! As for the soft serve, I'm not sure how much topping you like on your waffles, but I'd say that the cup of banana soft serve is good for about 3-4 waffles.